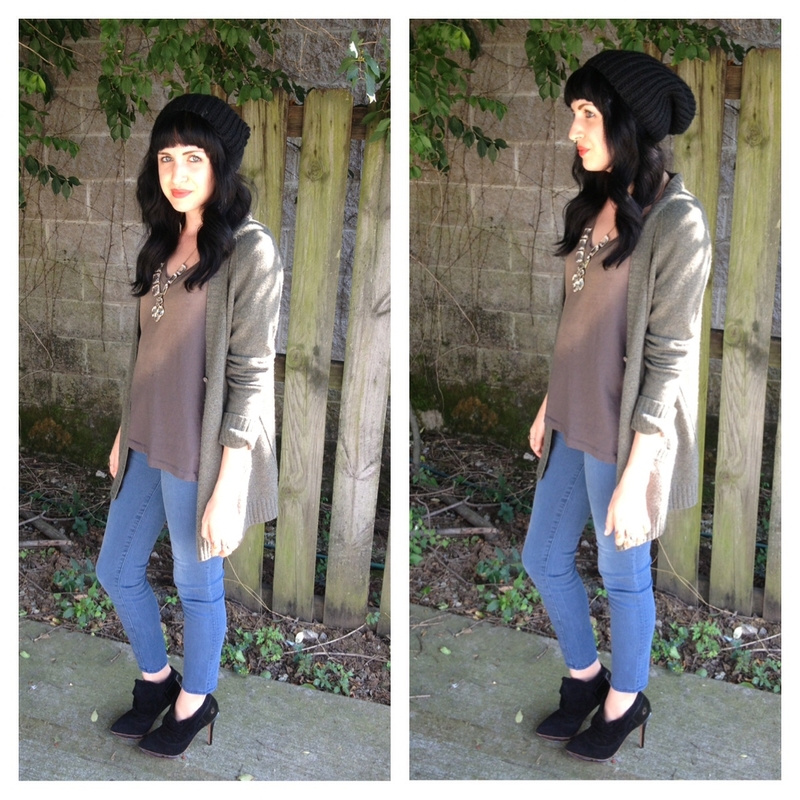 Kick up the classic slouchy grandpa cardigan and beanie hat a notch with skinny jeans and pointy booties! 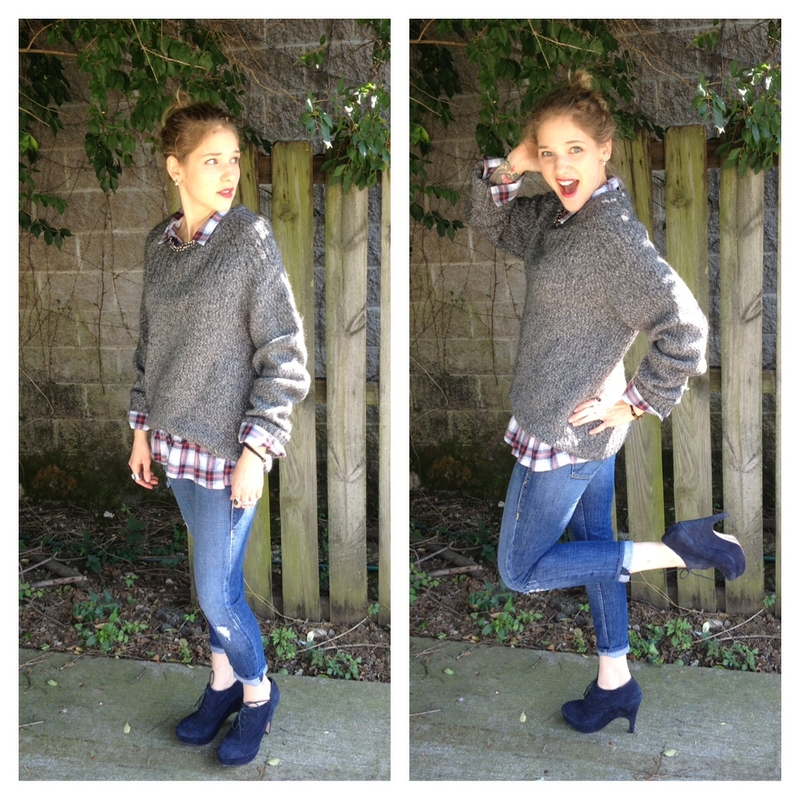 Update Kurt Cobain’s signature thick knit sweater with a plaid blouse and a sparkly necklace! 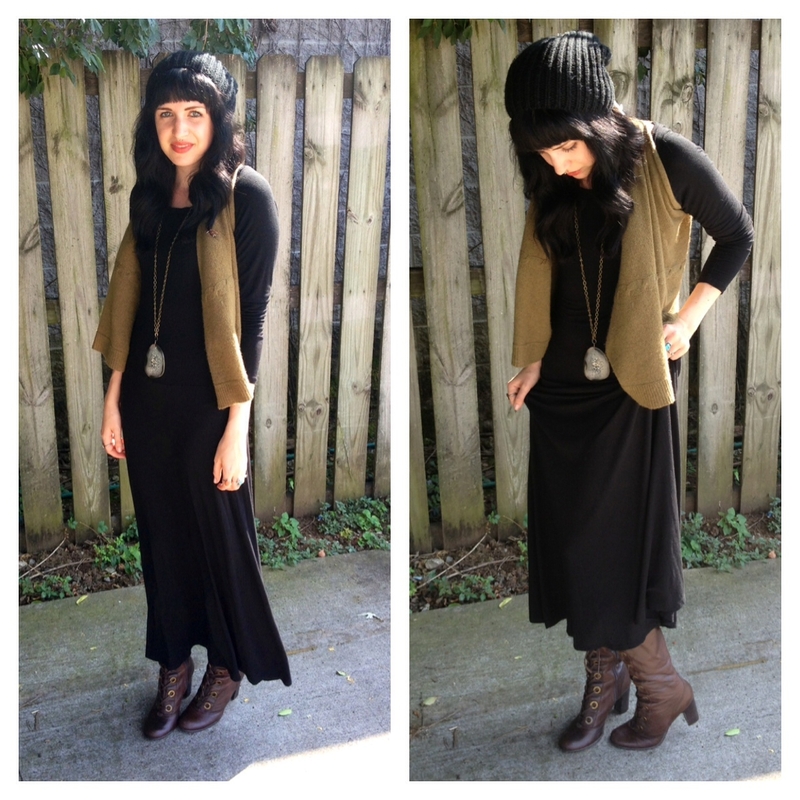 90’s Kate Moss would swoon over this super comfy jersey maxi dress. 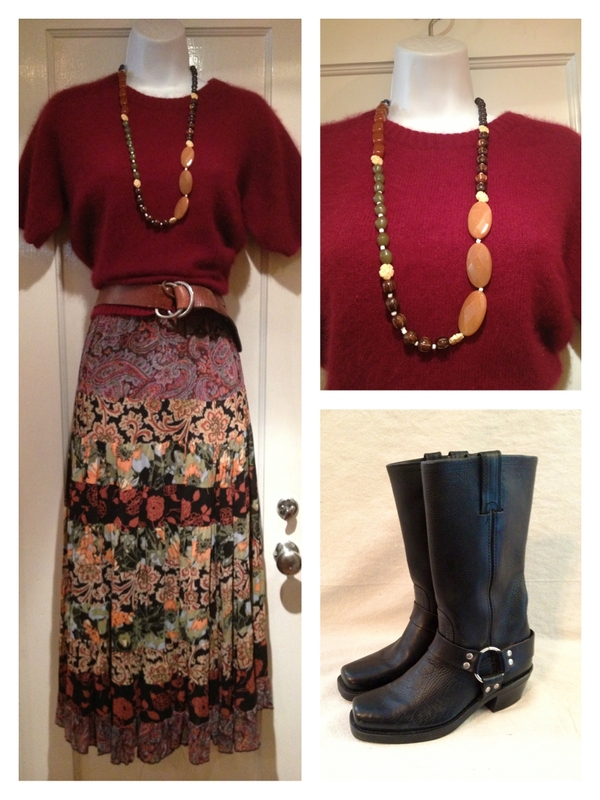 Dress it up with a cozy sweater vest and a pendant necklace! 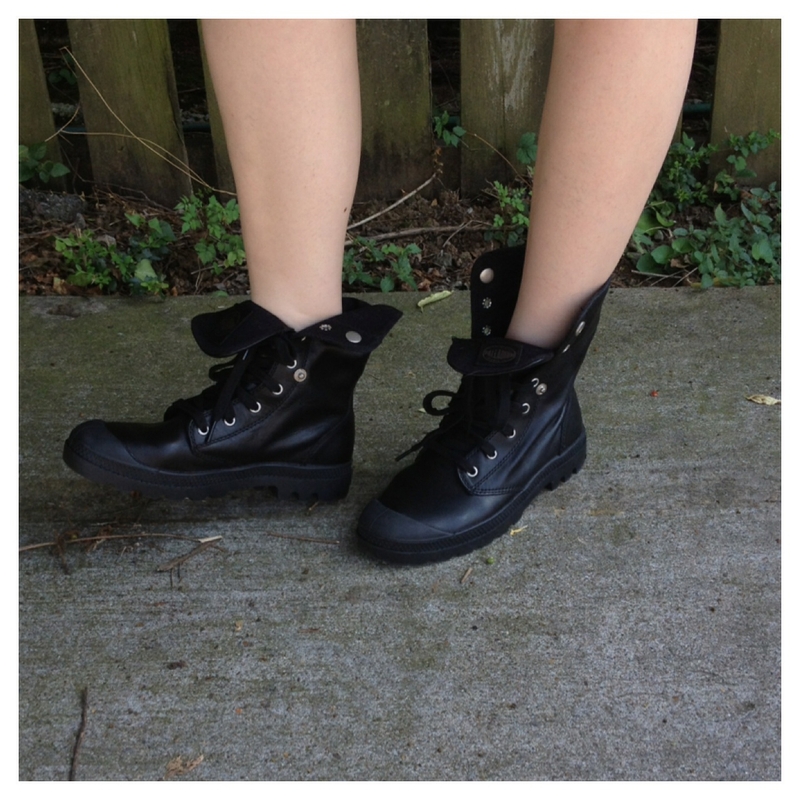 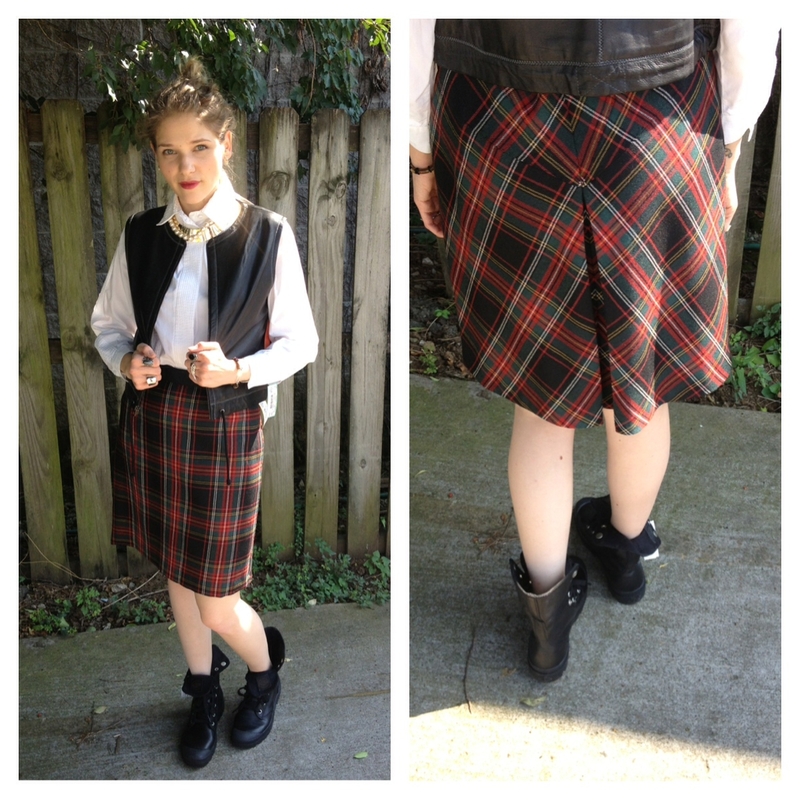 Add some edge to your plaid skirt and crisp white blouse with some combat boots and anything leather! 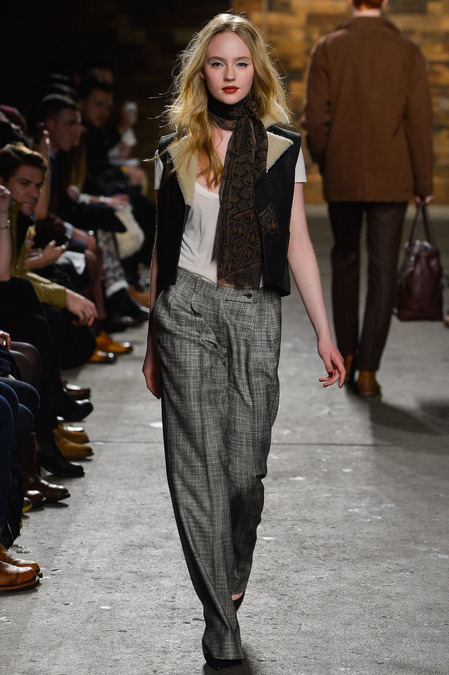 But wait, which Paris? 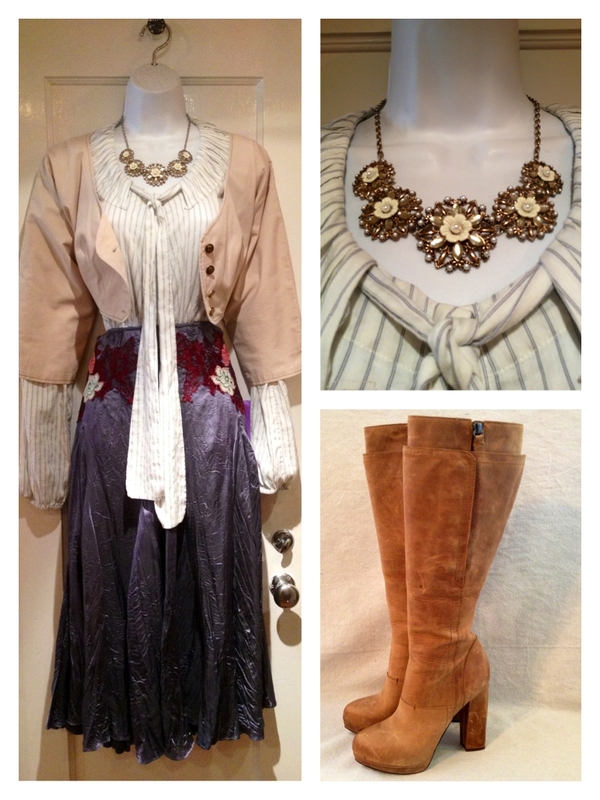 Whether you’re channeling la Francaise, Paris, Tennessee, or the fair city in Texas where the 1984 film “Paris, TX” gets its name, we’ve got you covered! 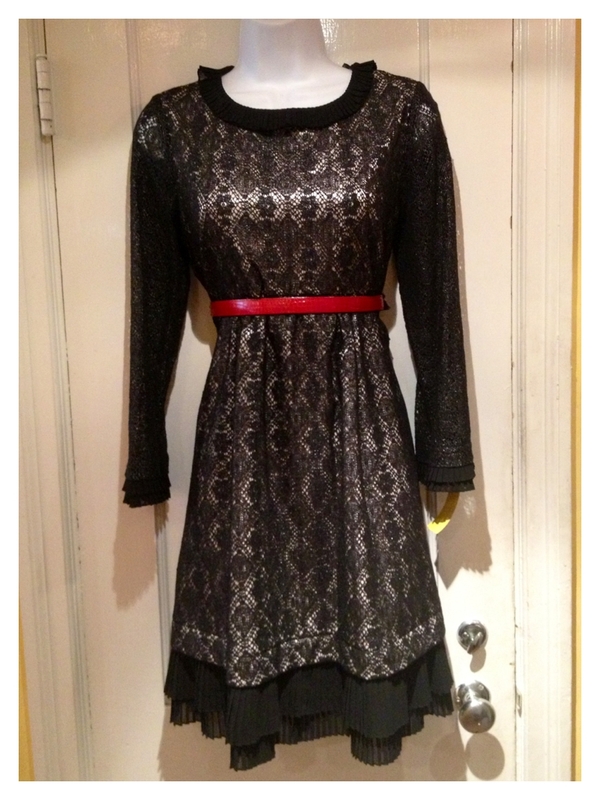 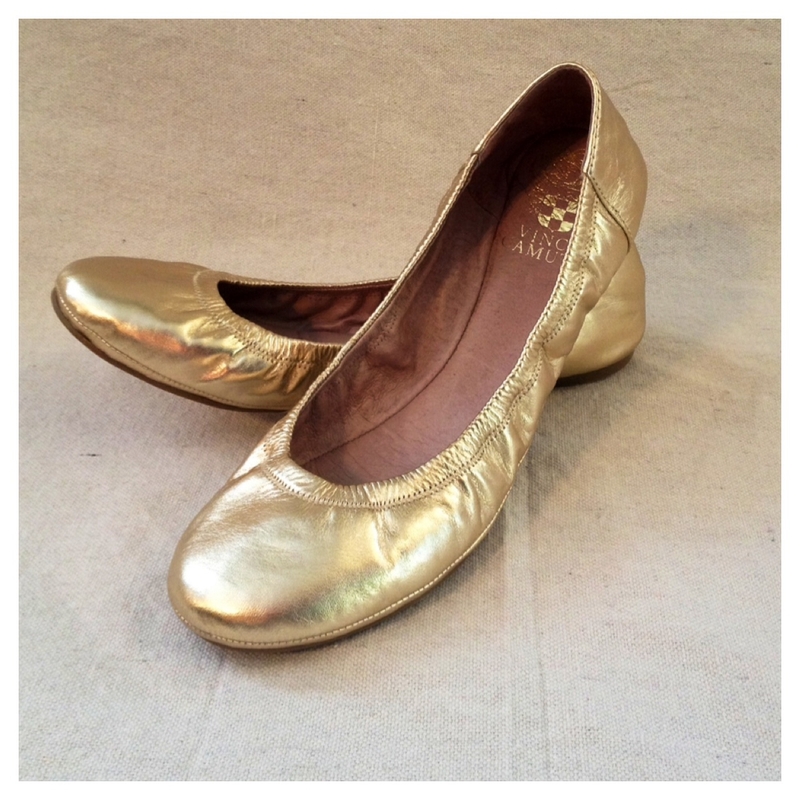 Capture the chicness of the French in a simple lace dress and metallic flats. 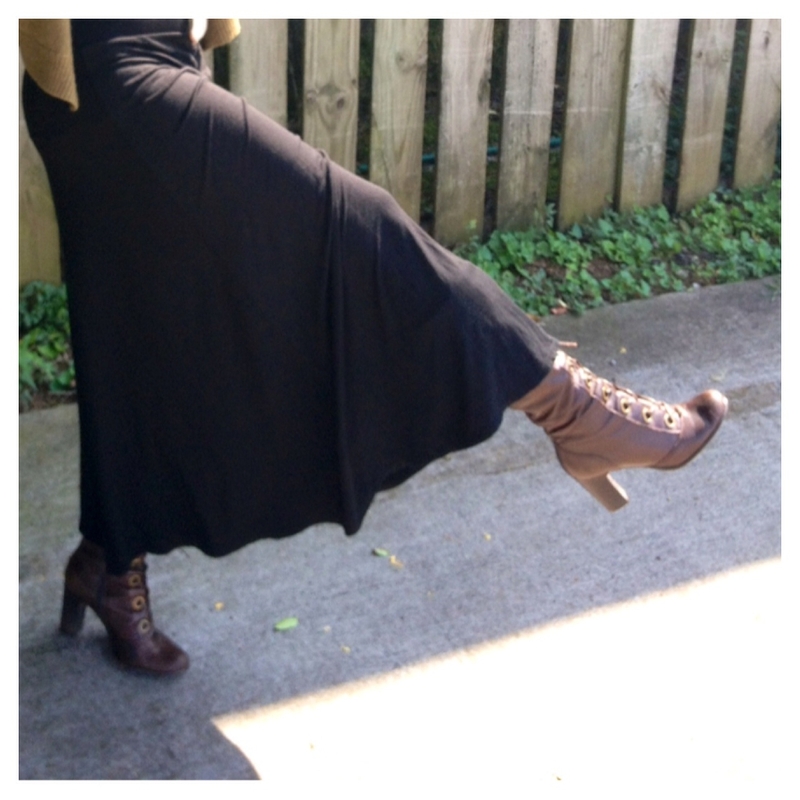 Oui Oui! 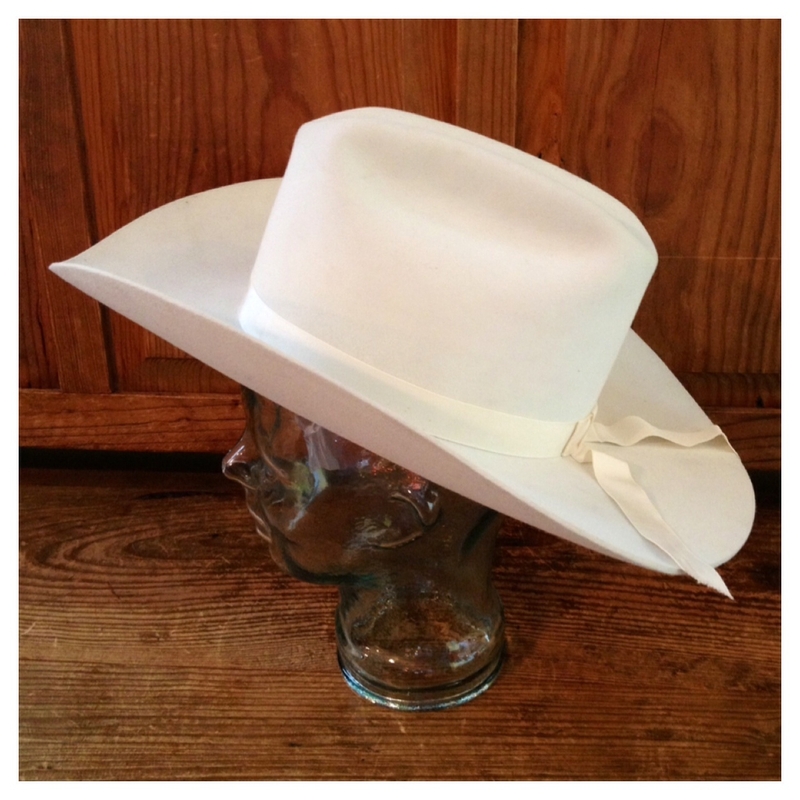 You can’t go wandering around in the heat of Paris, TX without the perfect cowboy hat! 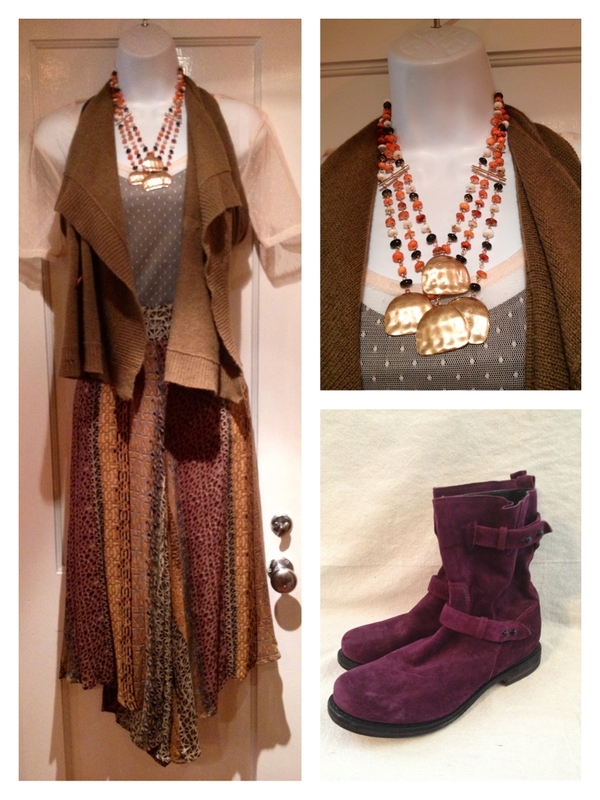 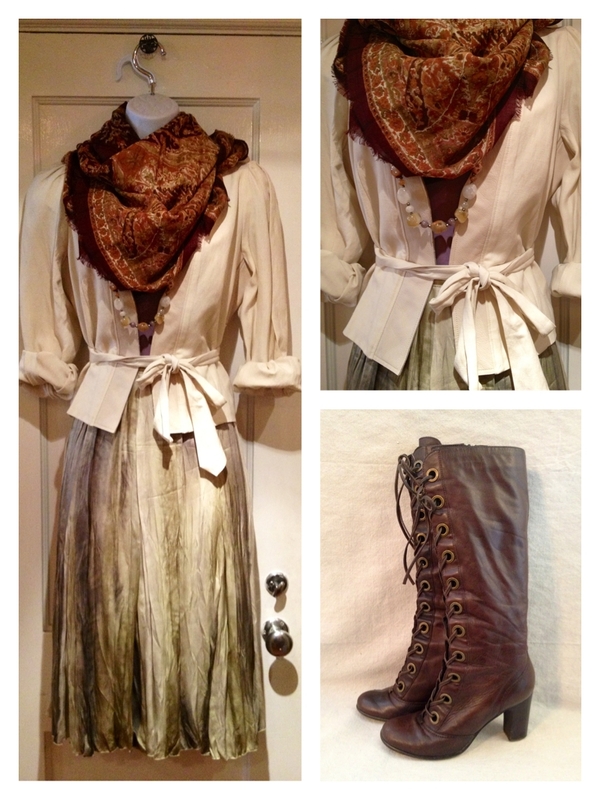 “Street Style”- Designer Renaissance Style! 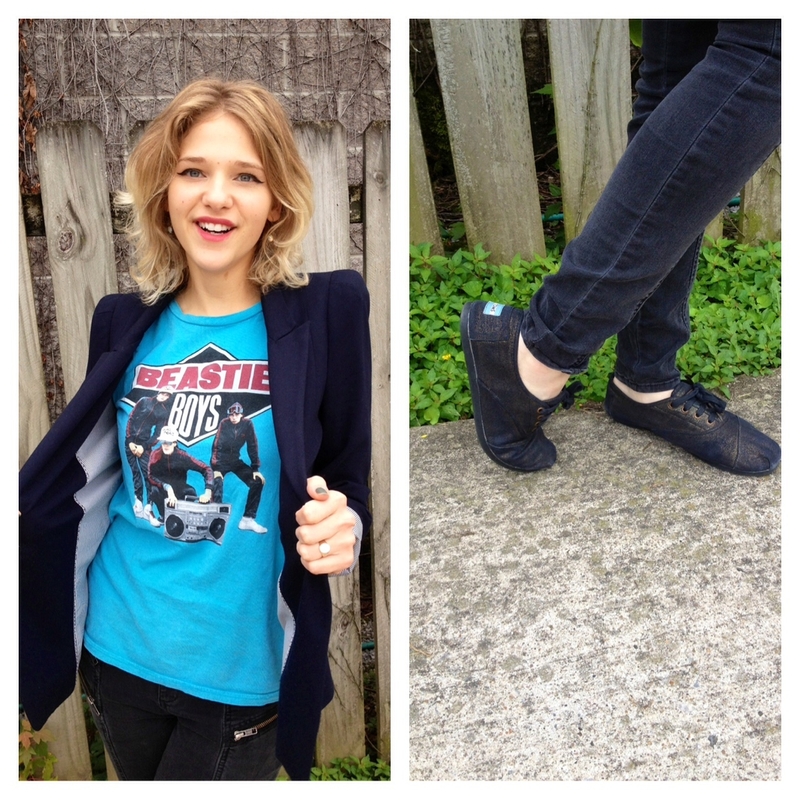 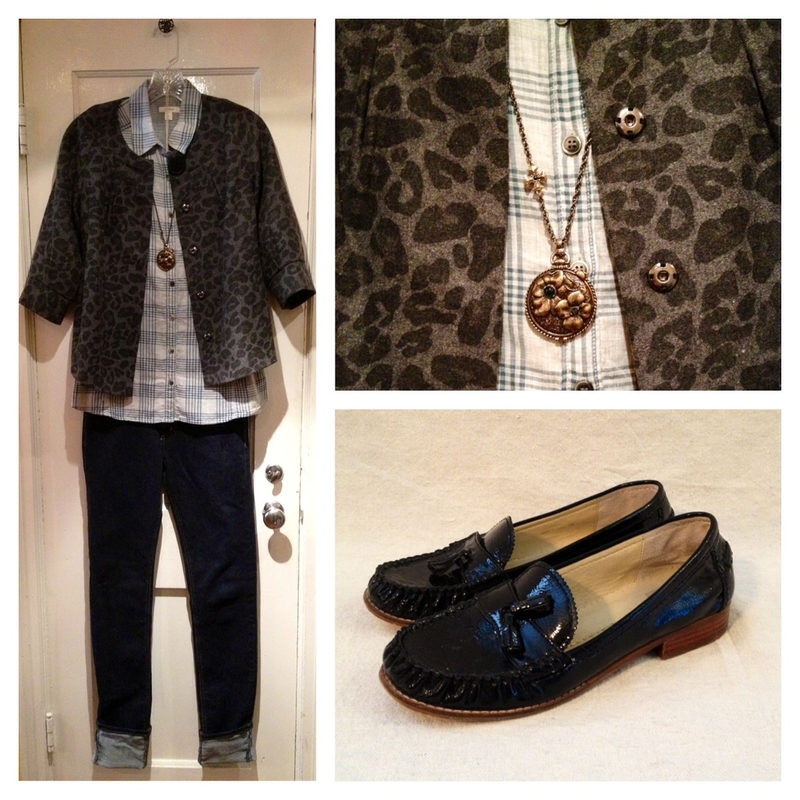 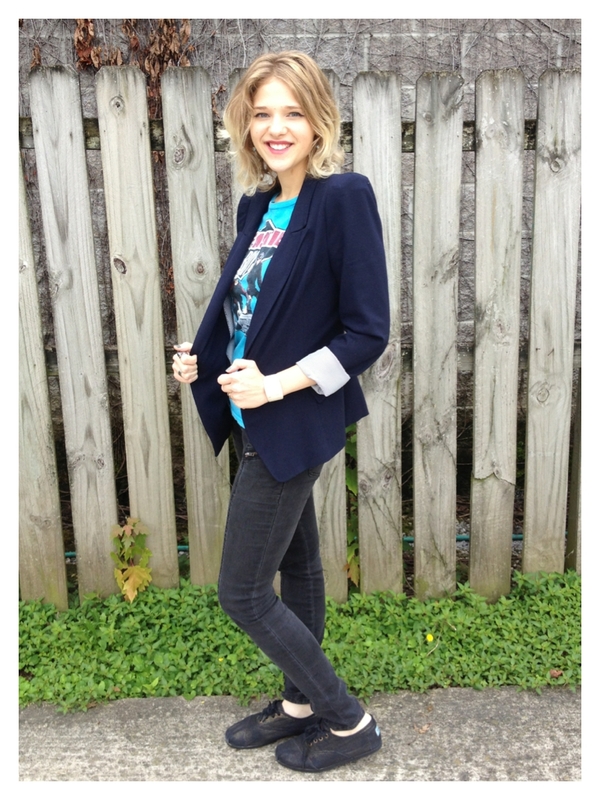 Anna shows off her favorite blazer, graphic tee, and TOM’s shoes, all from Designer Renaissance! 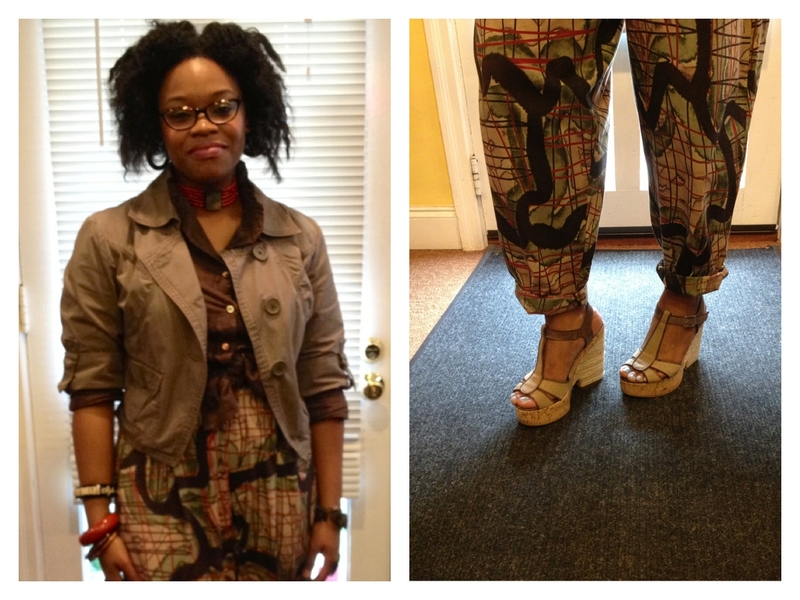 Brooke is wearing a fabulous pair of graphic pants, canvas wedges, and a beaded choker from DR! 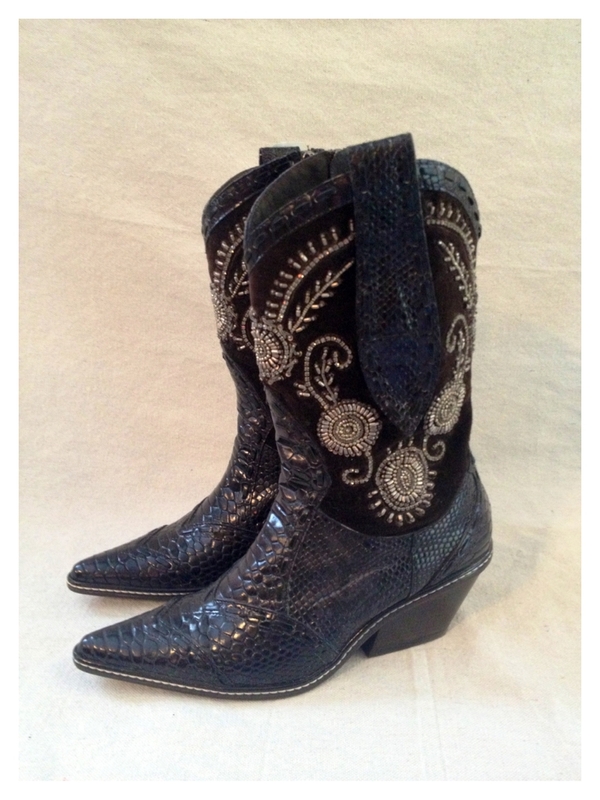 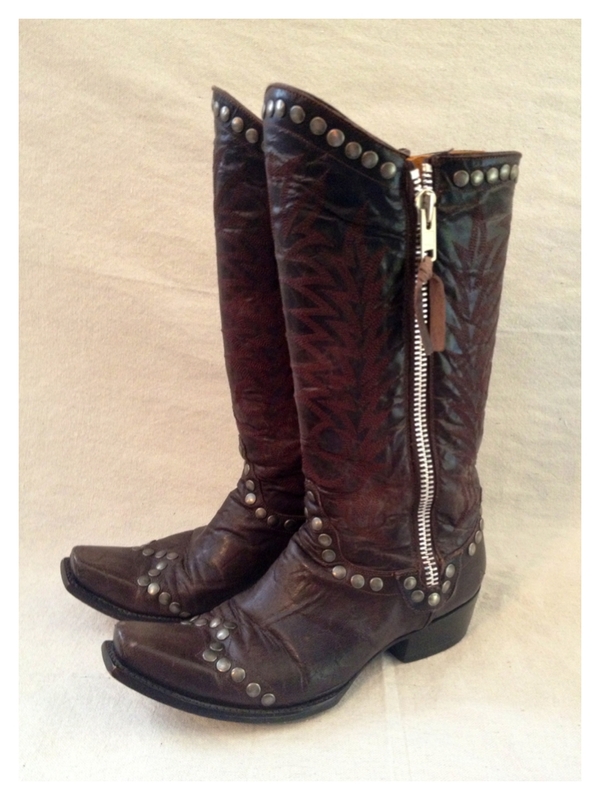 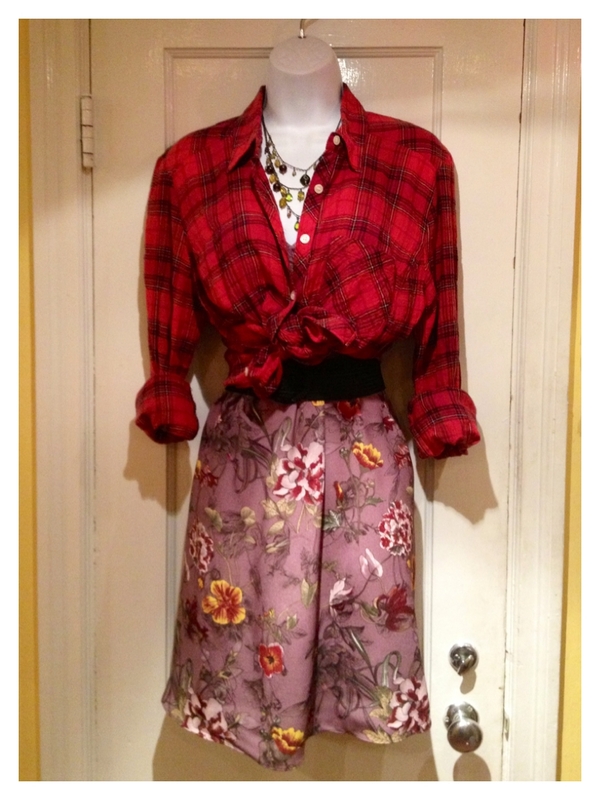 We have a TON of great vintage pieces right now. 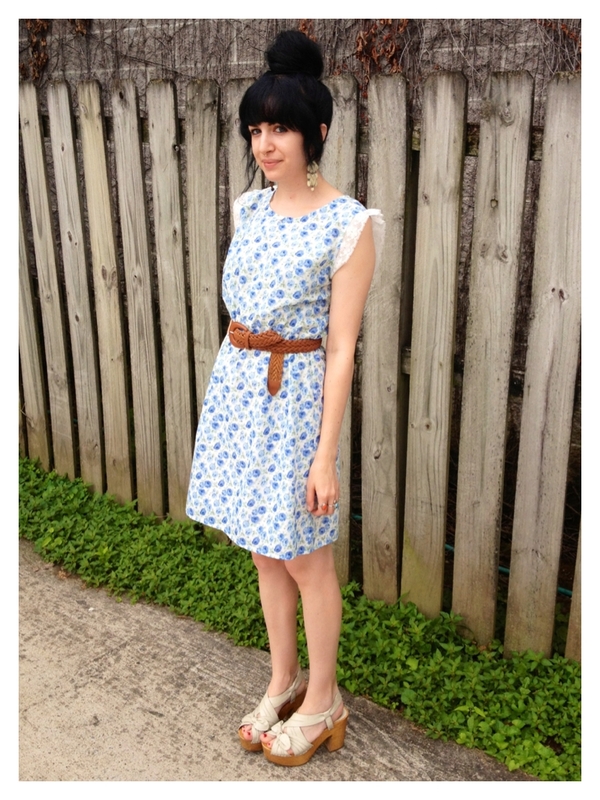 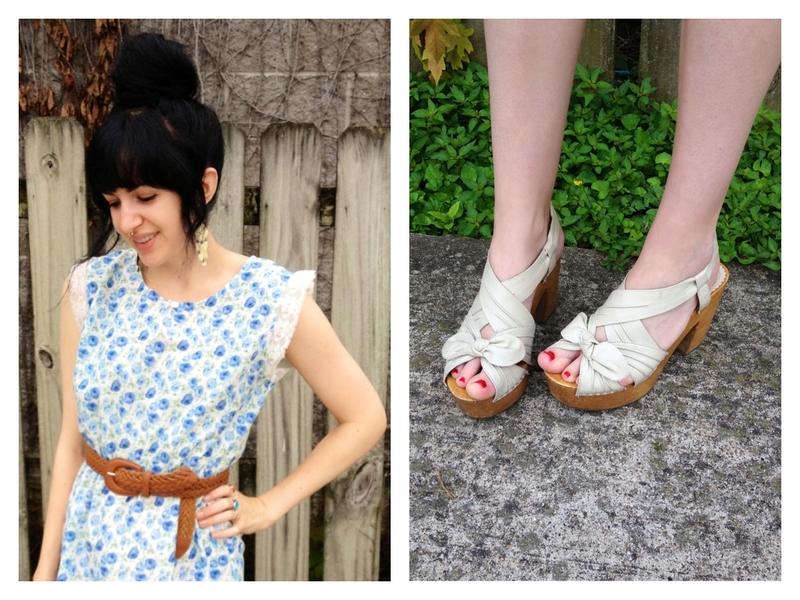 Kallie looks lovely in this floral and lace dress and wooden heels! 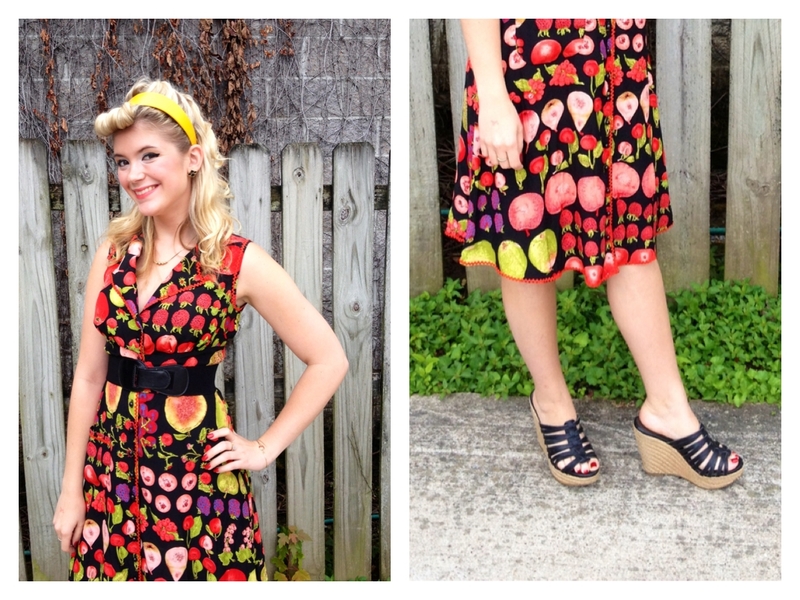 Paige grabbed this amazing Betsey Johnson fruit print dress at 75% off this week. 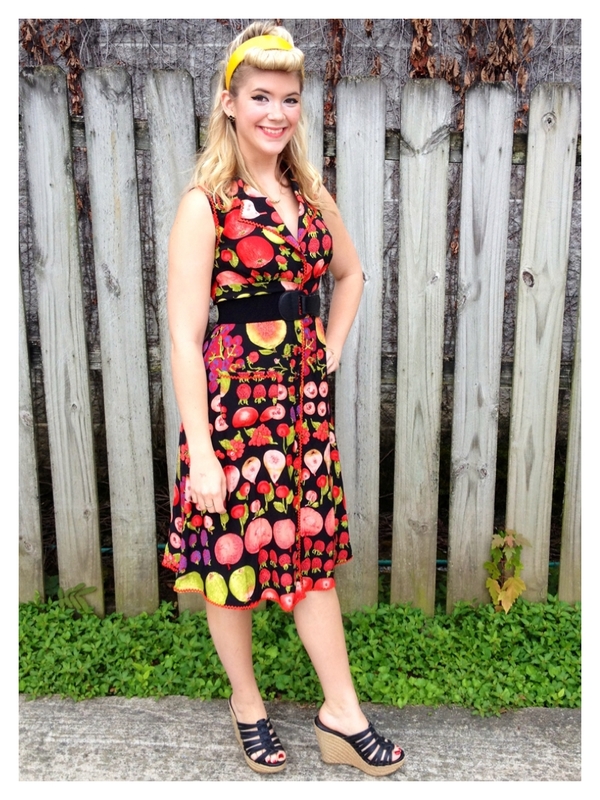 Perfect with her retro pin-up style!